Stunning 360 degree views greet you upon arrival at Peak at Paso. 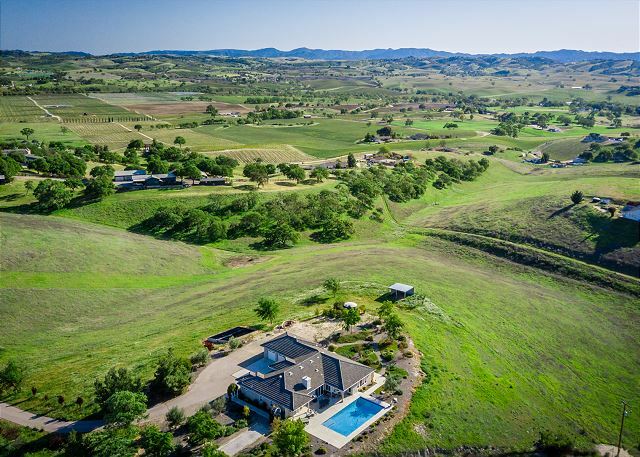 This secluded, hilltop hideaway, just minutes from wineries and downtown Paso Robles, is the perfect destination for your family gathering, or wine-tasting adventure. 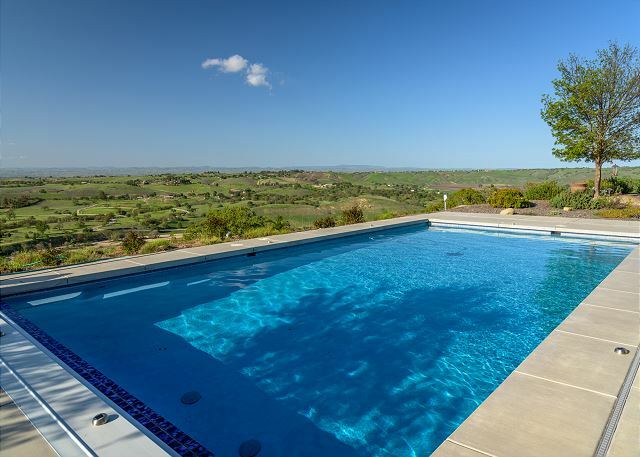 From the first glimpse, the patio living and pool, with incredible views, draw you into Peak at Paso. 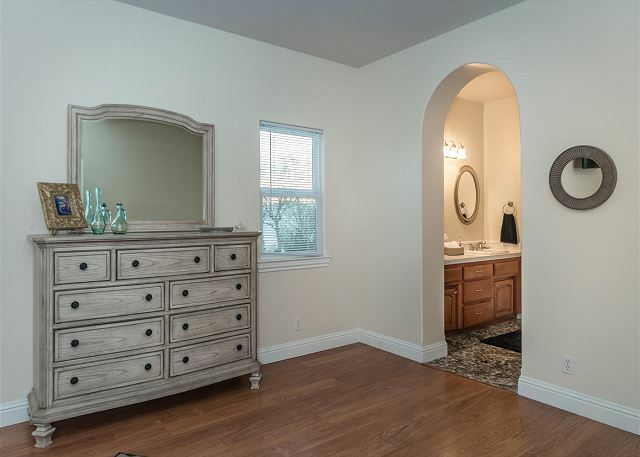 Exquisitely furnished and fully stocked, with attention given to every detail, this three-bedroom, three bathroom home sleeps eight with an additional sleeper sofa in a private office. Classic, upholstered furnishings in cool blues, grays, and tans, create a sense of rest and restoration. Linger around the pool, enjoy the casual family room and dining nook, or enjoy wine over formal dinner in the elegant dining room. 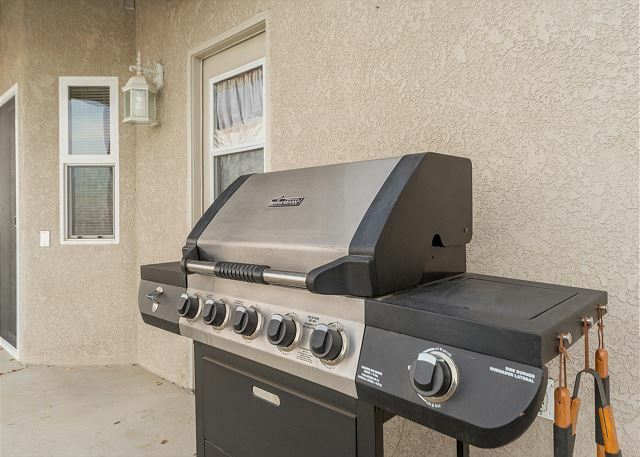 The gourmet kitchen features a six-burner Wolf range and oven, as well as second oven for maximum convenience. 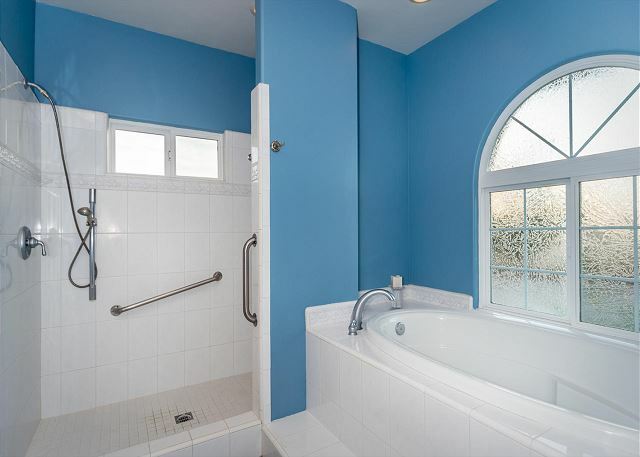 Beautifully appointed master bedroom with raised tub and handicap friendly shower is situated at one end of the home and has private patio access. 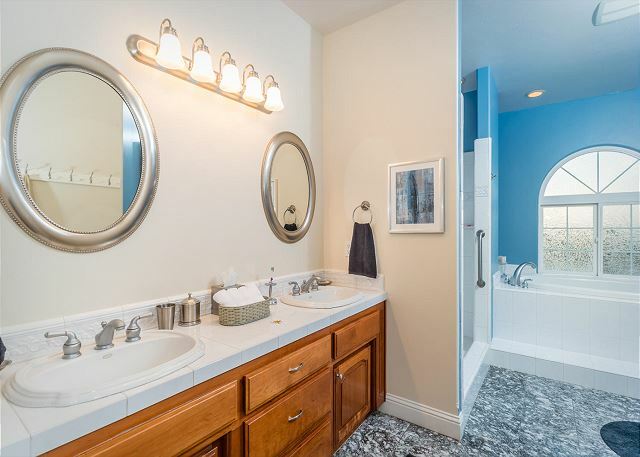 Two other bedrooms share a large hall bath at the other end of the house, with easy access to all living areas. 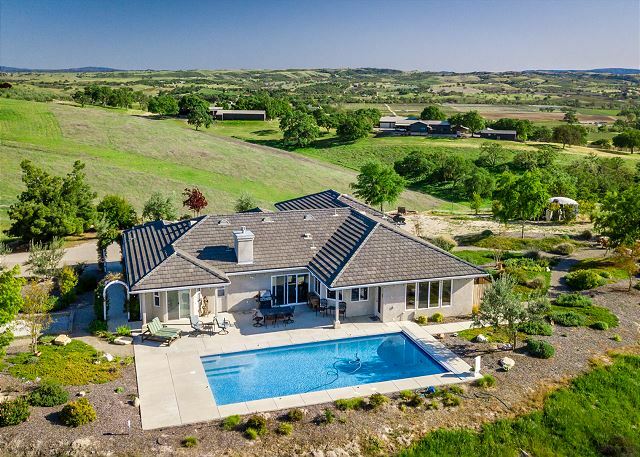 Your most difficult decision will be whether to enjoy the extraordinary views from the pool or over wine from one of many vantage points within this chic, upscale home. With acreage, multiple seating areas abound, including around the outdoor fire pit. Closest winery is .5 miles, with several others nearby. 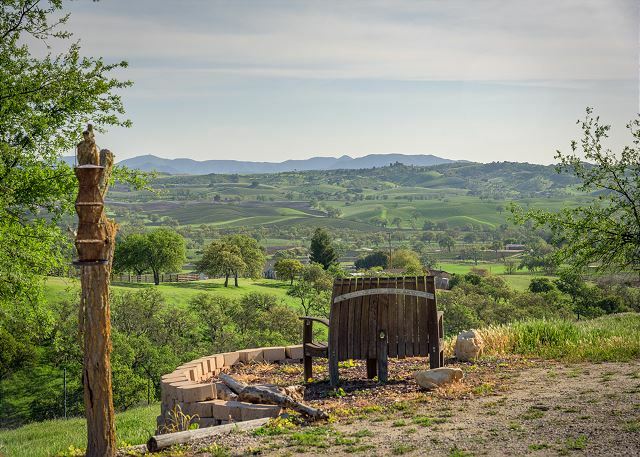 Paso Robles Vacation Rentals® is your local expert! Please contact us with questions about restaurants, wineries and fun things to do on the central coast! Great house for a group! Wonderful place in Paso Robles! We had such an amazing weekend at Peak at Paso, the house and property are absolutely beautiful. Honestly, the photos don't even do it justice. The bedrooms were all very comfortable, the kitchen is full equipped as well as the games cupboard. And the sunsets were phenomenal. We went in winter but still enjoyed the beauty of the pool. Wonderful Weekend at Peak at Paso! Peak at Paso was the perfect place for our trip to Paso Robles. We were there for our daughter's wedding at Stillwater Winery and for our 35th Wedding Anniversary. The location and the view were amazing. The property gave the wedding party a place close to the wedding venue to relax. The girls were able to spend the day getting ready at Peak at Paso. Everyone that came by the house was amazed at the house, the value and the view. We will definitely return to Peak at Paso in the future. 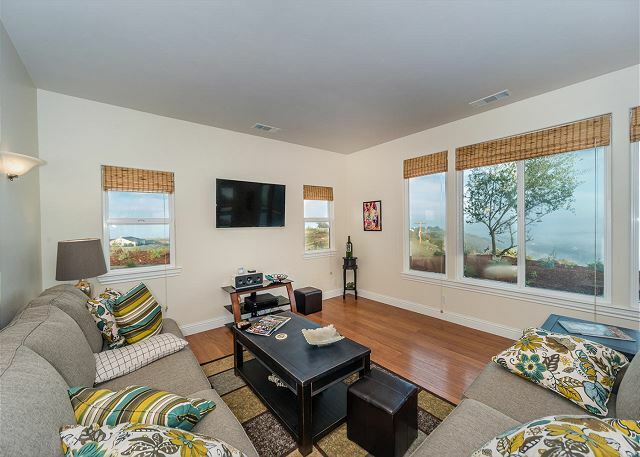 Peak at Paso is a beautiful property! 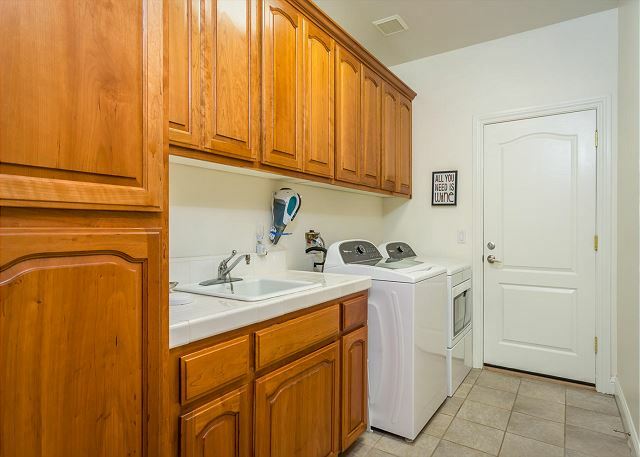 The home was spacious and extremely clean. The views are incredible. It was a perfect home base for our family of 6 to explore the surrounding area and my kids absolutely loved the pool.